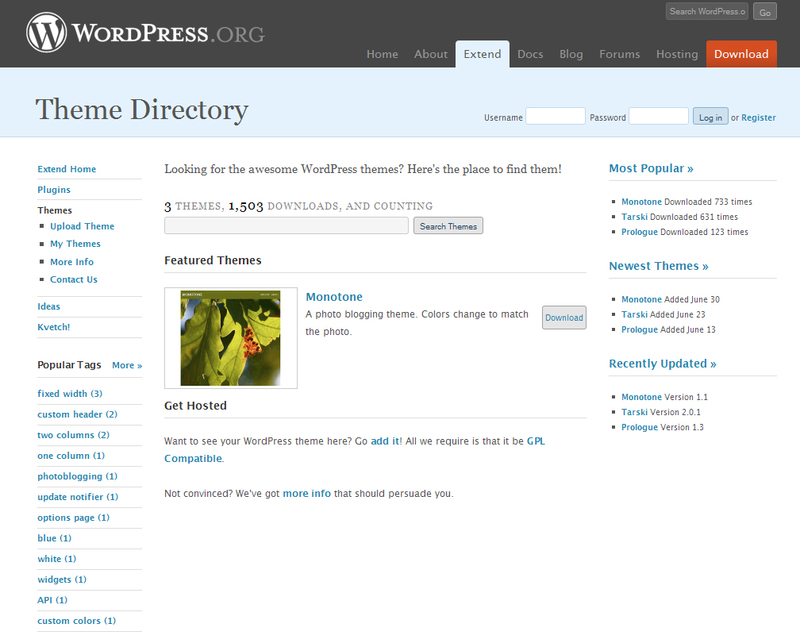 It was just announced on the WordPress development blog that WordPress launched a new theme directory. This will be similar to the official WordPress plugin repository, which hosts thousands of WordPress plugins. 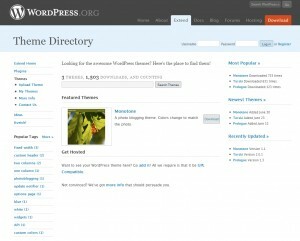 Here are steps to follow to upload your theme to the new WordPress theme directory. You can login with your WordPress.org account. Make sure your theme meets the requirements. Upload your theme here in .zip format. Themes will have to pass a manual review before going live. Since the old “official” WordPress theme viewer (themes.wordpress.net) has been dysfunctional for so long, theme authors have been distributing themes on their own websites. Hopefully in the future this can become a centralized source of free WordPress themes. So far it seems like no new themes have been approved.